Shoemaker, the health care agent named in the DPOA form, wanted Collins’s body cremated. Collins’s daughters, who would have had the power to dispose of Collins’s remains in the absence of an effective DPOA, wanted her to be buried in a family burial plot and motioned for a temporary restraining order to stop cremation. Long story made short, the matter was taken up by the Probate Court and then taken up by the Missouri Court of Appeals. Because Collins had never become incapacitated before her death and because no physician had ever certified her as incapacitated, the health care agent never became Collins’s attorney in fact under the DPOA, so Shoemaker never had the rights to the disposition of the remains. Shoemaker, the health care agent assigned in the DPOA form, agreed that Collins was never certified as incapacitated by a physician but argued (and I love this) “that death conclusively establishes incapacity sufficiently that no physician certification should be required.” They further argued the physician certification requirement was only meant to apply to the powers related to health care decisions during life and not to the right to dispose of remains (which most people probably think when they sign a DPOA form). The appeals court took the position that the clear, unambiguous language of the DPOA executed by Collins expressly provides that none of its provisions become effective until the physician certification requirement is satisfied (springs into effect). So in the end, the DPOA was ruled not effective, and Shoemaker had no right to the remains. So, from my non-lawyer perspective, it seems, at least how Missouri’s laws are written, if you want your DPOA to be making burial decisions for you, you should indicate in your DPOA that it is immediately effective, as opposed to “springing” upon incapacity. I’ve asked my legal counsel (my wife) if this same issue would come up in California. Her quick response is that “incapacity,” and certification thereof, are not the requisite conditions in the California statutory form (though in the Probate Code provisions governing custom made forms, incapacity is mentioned as the override-able default). 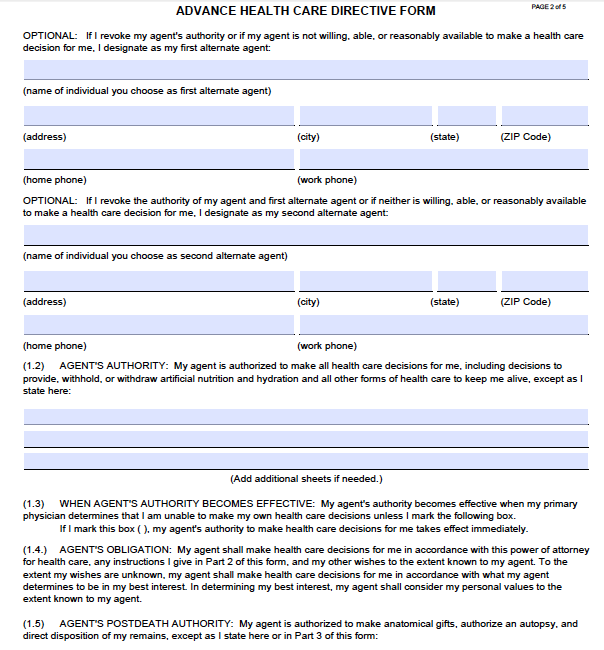 The statutory form simply says: “If my primary physician finds that I cannot make my own health care decisions.” She admits that “incapacity” (living, presumably, but legally incompetent to make decisions) might have been what the California drafters meant, but likely in an effort to make the form more easily understandable, its “clear, unambiguous” language doesn’t include the word “incapacity,” or, maybe, its legal implications. All of that notwithstanding the fact that one could still argue that a dead person is actually incapacitated. So it sounds like the stars aligned to make a perfect storm in this case, but lets just take a second to imagine what would happen in your state if this same scenario occurred and a DPOA didn't spring into effect before a patient died? Who would have the rights over the remains? Would a physician need to certify incapacity? If so, what happens if a patient dies before that occurs, like in this case? Note: If you are worried about your family fighting about this or are clear on what you would want to happen to your remains, give specific instructions about your preferences in an Advance Directive and in a Will (and anywhere else you can think of). Great article though it’s different in UK. Even if person has health proxy in an Advance Statement which is enacted due to incapacity then this has no influence on the body. A body has no legal rights other than to be disposed off so as not to be a public health hazard. So even though there is no legal ownership certain people do have the right to possess the body. First it’s the executor of the Will (if there is one) and then relatives in order of relationship closeness e.g. souse first. Funeral wishes written in a Will have no legal standing and are purely that ‘wishes’. Suggest read The Natural Death Handbook (5th edtn) available from www.naturaldeath.org.uk for all the options – there are lots of them. We advice open and honest communication about death with family /friends and let them know your wishes. The Natural Death Centre is an educational charity which sees death as a natural part of life. Founded in 1991, it is committed to supporting cultural change and is working towards a situation where all people are empowered in the process of dying, and organising a funeral. Last year alone the NDC received over 40,000 phone calls /emails to its helpline; over 140,000 new web visitors. My understanding has been that a DPOA is no longer in effect after a death, so one would have to indicate their wishes in a will or separate document. Is this different in MO? As an elder law attorney, I've dealt with this issue in Utah. Linda Conrad's remark reflects the norm: in most states powers granted in a power of attorney terminates at the moment of death, so the person who administers the estate under a will(the executor) or under the rules of intestate succession(the administrator) would have the authority to decide, though it's not unlikely that in a contentious case, it would be a judge who decides. While it is correct that a common DPOA would terminate upon death, this is not true of any state advance health care directive form that follows the Uniform/Model Act. 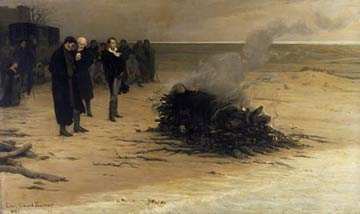 The statutory provisions specifically give the agent appointed thereunder the right to dispose of bodily remains, as was the case here with Collins. So, the agency does remain "effective" after death. The question is actually whether the agency ever became effective in the first place, given that the decedent was never incapacitated. My initial reaction was that this was a triumph of form over function, though thinking about it further I don’t think this was an unreasonable outcome. Powers of attorney are not intended to survive the death of the patient, though both the Probate Code and Health & Safety Code confirm the ability of an agent to control disposition of remains if given that authority. (But the assumption is that the agent is already exercising some authority, and is just “wrapping things up” by disposing of the remains.) Also, in this case, it seems the right to control remains was in a default list of powers in the AD, and not one specifically added/initialed, or indicated when she filled out the AD. I’m not sure the additional evidence would have impacted the final outcome, though, given the court’s view that the agent authority never vested. Not sure we can assume the drafters' intent was that the agent would just be "wrapping things up". Also, extrinsic evidence cannot be introduced to contradict the plain language of the instrument. If there was an ambiguity, that would be a different situation, but default or not, disposition powers were there with no ambiguity. Two different things happening here one; pre mortem and one postmortem. The pre mortem issues would involve health care decisions from the time of incapacity until the time of death and the other postmortem issues, anything after death. Although this is a heart breaking situation it is really about two different situations, until you look at the wording on the durable power of attorney contract. The contract pulls the postmortem handling and disposal of the remains into the durable power of attorney contract; the contract states that Colin’s niece would “carry out Collins wishes regarding autopsy and organ donation and decide what should be done with her body (MISSOURI COURT OF APPEALS WESTERN DISTRICT), most of us would find the last part of this statement to mean that niece would be in charge of what to do with the remains. The sticking part of this contract, that she was not declared incapacitated by a physician making this contract unenforceable. I’m not a lawyer or a doctor but I would find it safe to assume that Ms. Collins was at the time of her death incapacitated to make decisions related to her healthcare, thus putting this contract into effect. All of these legal documents are put in place to make sure that our wishes are carried out and ease an already difficult situation; they are not intended to leave our remains in limbo until someone finally says enough. This makes me wonder if we all need to take a quick run through law school so that we may have our final wishes carried out just the way we intended to or leave caution to the wind and whatever happens, happens.